The 2G/3G Q26 Extreme is equipped with antenna diversity and runs at peak data rates up to 7.2Mbps HSDPA and 2Mbps HSUPA with automated 2G/3G handover. 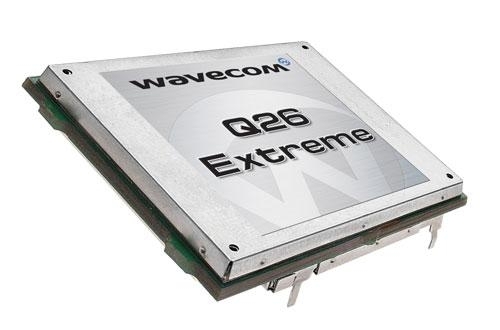 Q26 Extreme is the first dual-mode quad-band GSM, GPRS, EDGE and tri-band HSDPA and HSUPA programmable Wireless CPU® in the world. The built in duo-core application processor provides dedicated application processing ARM9 power at up to 104MHz, programmable in C and/or Lua.